Home birth. C-section. Vaginal delivery. Water birth. All parents have their birthing method of choice but these incredible photos show it really doesn’t matter how you do it; the end result is the same – a beautiful moment captured in time. This is birth photography like you’ve never seen it before. The International Association of Professional Birth Photographers recently announced the winners of its annual Image of the Year Competition. And the results are breathtaking. The winning photo (above) captures the emotional moment of holding baby for the first time while the runner up image (below) offers a close-up glimpse at a water birth. What we love most about the images is that entries include all forms of birthing, from water births and home births to vaginal and caesarean delivery. Some include partners, others doulas and some even have pets. Regardless of the method, the people involved or even the story behind it, the moment your child enters the world is incredible and these photos are the proof. 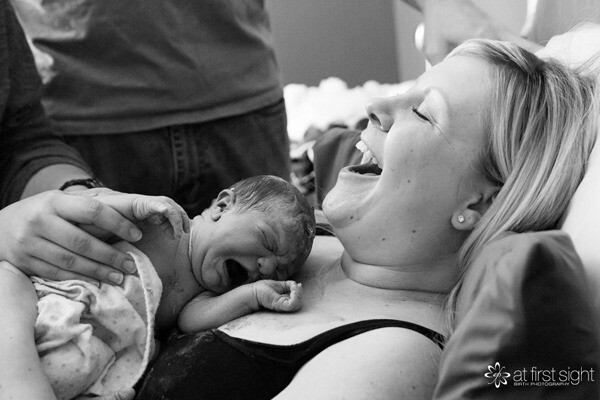 There is no denying that birth photography is an incredible thing. Having memories of the hours, minutes and seconds before and after your baby arrives into the world is something you will cherish forever, even if you choose not to share them with friends and family. To see more incredible images and for inspiration for your own birth photography shoot, check out these amazing photos of babies seconds after birth and must-have photos of baby’s first day. What kind of delivery did you have? Did you capture it on camera? You can find a birth photographer in your area or view the full entry list at the International Association of Professional Birth Photographers.